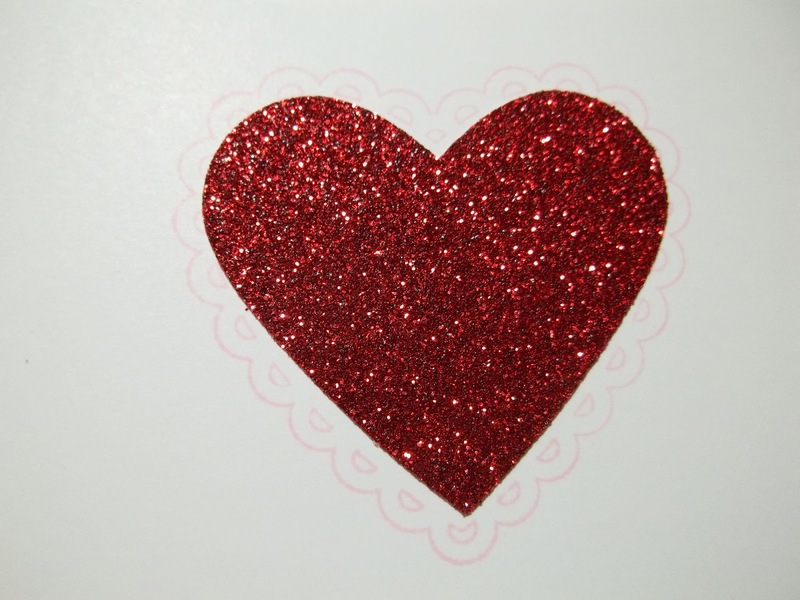 Do you send Valentines Cards? Anniversary cards are so similar to valentines that when I'm looking for ideas for one I often search the other category too. 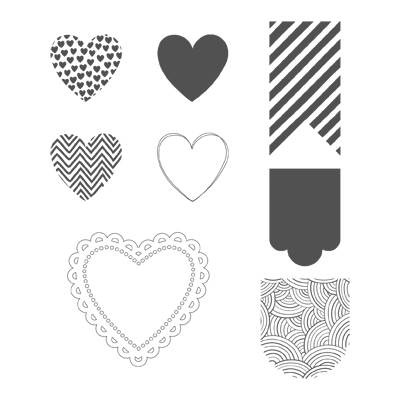 This Valentine Lay-out is an example of what I mean. Its a super simple design. The white card is 5-1/4" x 8" folded in half and glued to a piece of red card stock as a base and framing layer. The Heart is punched from Red Glimmer Paper with a sentiment off to the right. Can you see the pink stamped heart? 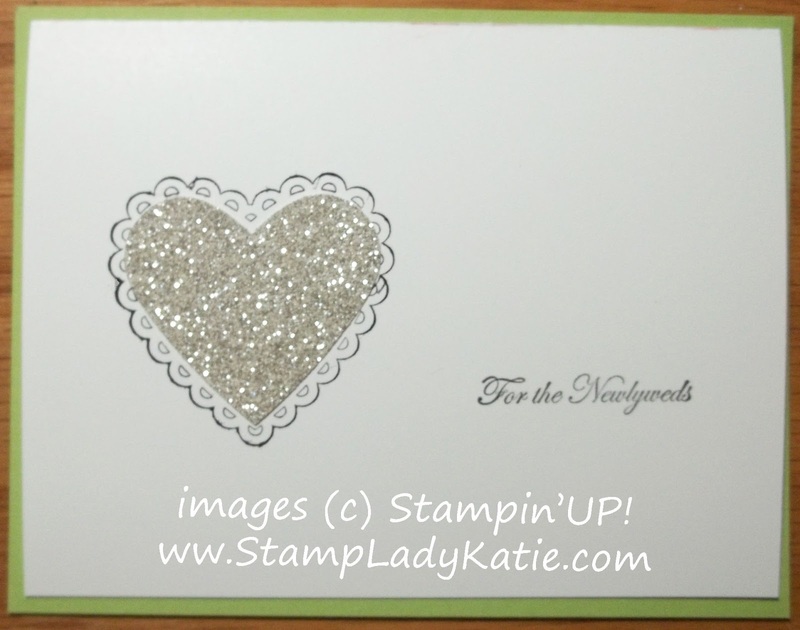 It's hard to see in this photo - but the heart is centered on a lovely lacy heart image that was stamped in pink. 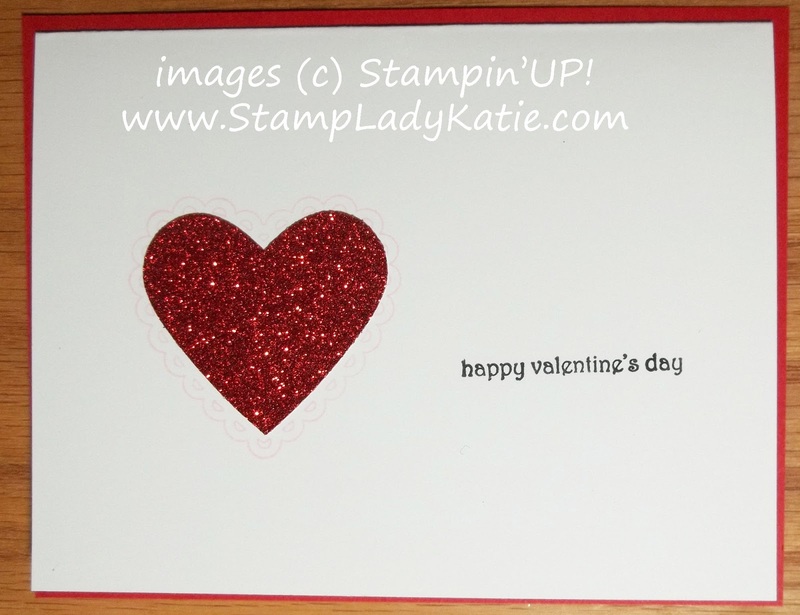 The heart stamp is from a new set called Hearts a Flutter. The sentiment is from a stamp set called Teeny Tiny Wishes. That set is my "go to" set for sentiments because there are 24 different sentiments and they're all the same size. So you create 1 design and its easy to change it up. Here is the same card, only now its a wedding card. 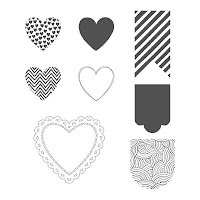 .This time the lacy heart image was stamped in black and the background is green. How great is that to be able to match the bride's color scheme. And the silver glimmer paper goes with any thing. Of course there is an anniversary stamp in the Teeny Tiny Wishes set too. 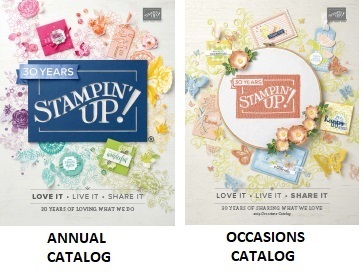 And speaking of anniversaries: This year, 2013, is Stampin'UP! 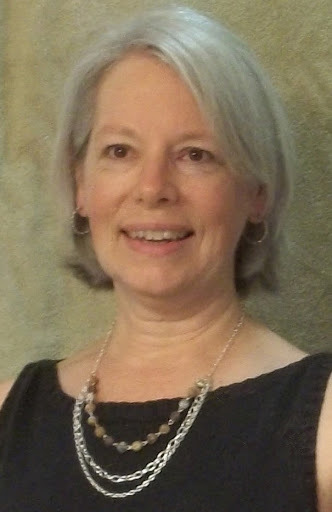 's 25th anniversary. There will be lots of little promos during the year to commemorate the event. One you can get in on right now is that through March 22, all Hostesses will get a FREE PACKAGE OF SILVER GLIMMER PAPER in addition to other Hostess Benefits. 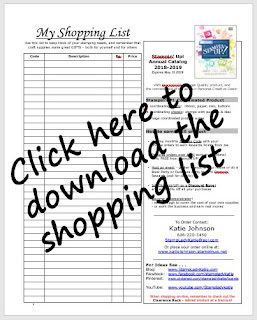 Contact me today to schedule your party so you can get your FREE Silver Glimmer Paper.